However, most people who heat style their hair frequently will argue that you must — absolutely must — spend a lot to get high-quality results. 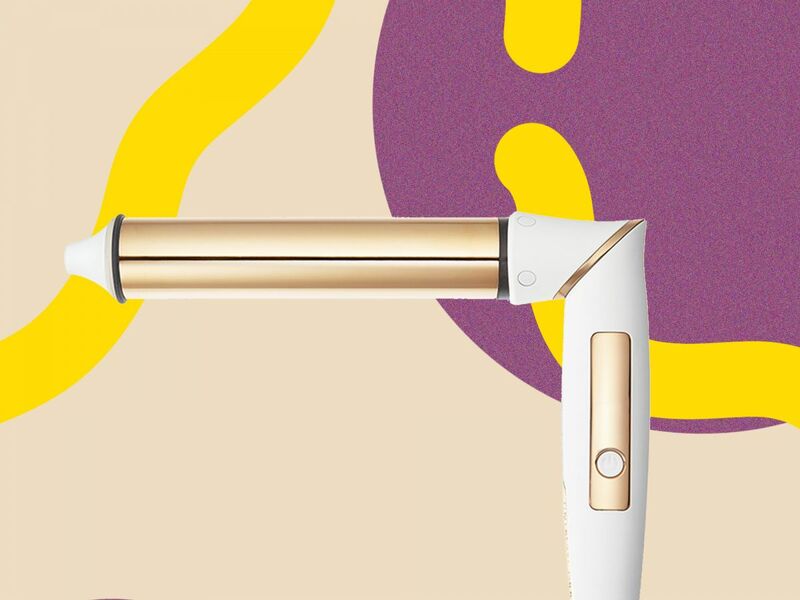 In other words, when your friend asks you for a curling-iron recommendation, the first thing that comes to mind is probably a $300 wand… which when you think about it, is criminally insane. 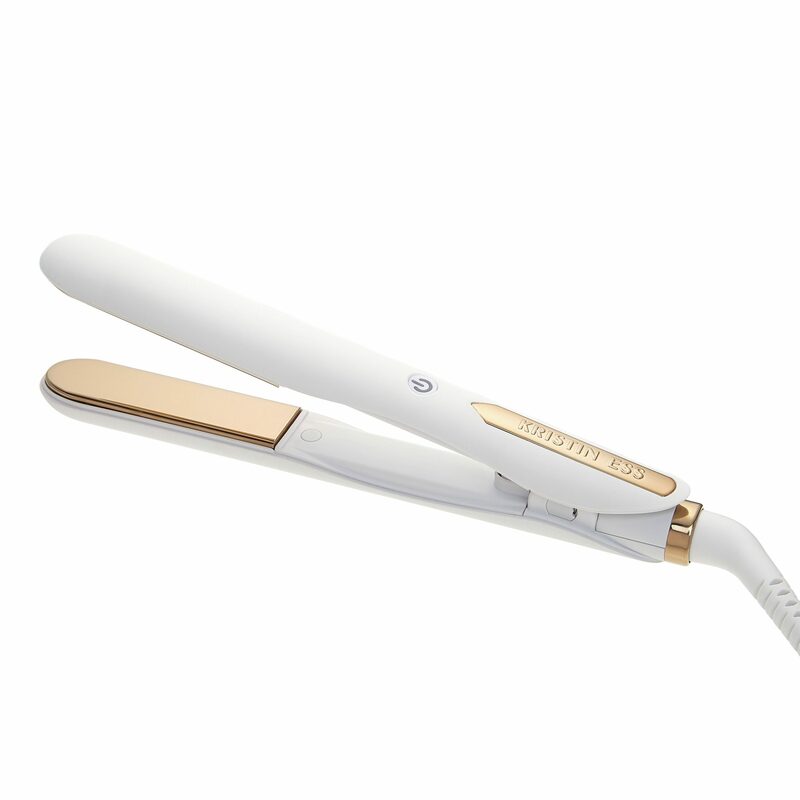 Yes, the hot tools out there that toggle triple digits are some of the best on the market, but that doesn’t mean that everyone should have to, or is in a position to, spend half their rent check on a flat iron. That’s where celebrity stylist Kristin Ess comes in. The woman behind Lucy Hale’s ’90s bob and Lauren Conrad’s choppy layers is also the mastermind behind her eponymous hair-care line, Kristin Ess Hair, which sells prestige-quality styling products for cheap-as-hell prices at Target. Now, Ess is revolutionizing the field once again, launching a collection of high-end hot tools at a middle-of-the-road cost. So Ess went ahead and brought the heat, creating an essential hot-tool collection that’s as streamlined and efficient as it is unique — and it just hit Target this weekend. 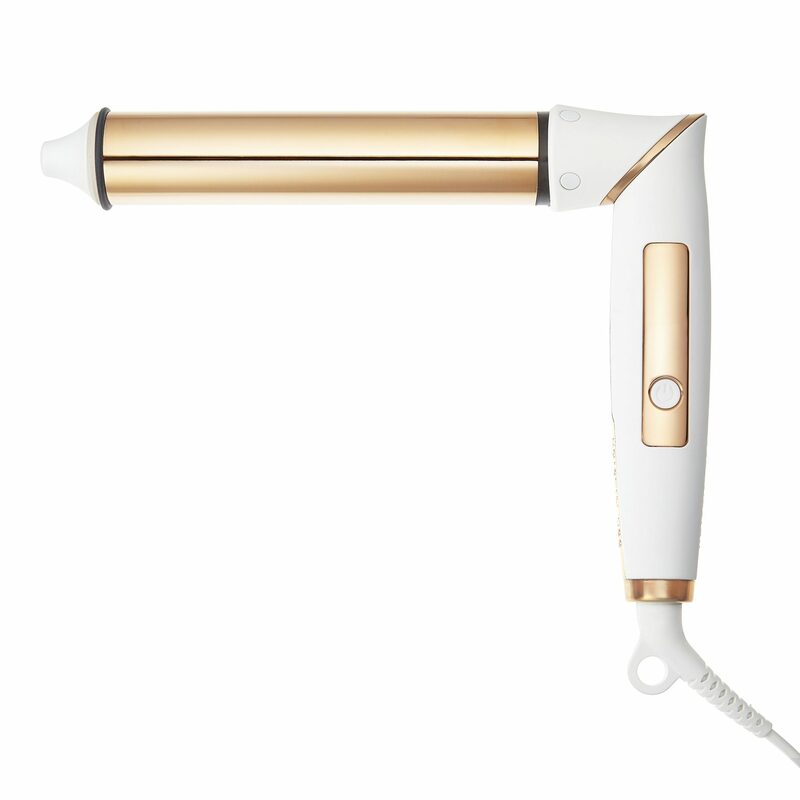 Ahead, check out the travel-friendly blowdryer, pivoting curling iron, and more… and, in true Kristin Ess Hair fashion, feel free to hit Add to Cart without triple-checking your bank balance first. When it comes to most hot tools out there, Ess explains that there’s always been a low end of the market and super-high end. She wanted to fill the space in the middle. “Affordable hot tools exist; they’ve just never been very attractive. I wanted something beautiful that works,” she tells us. 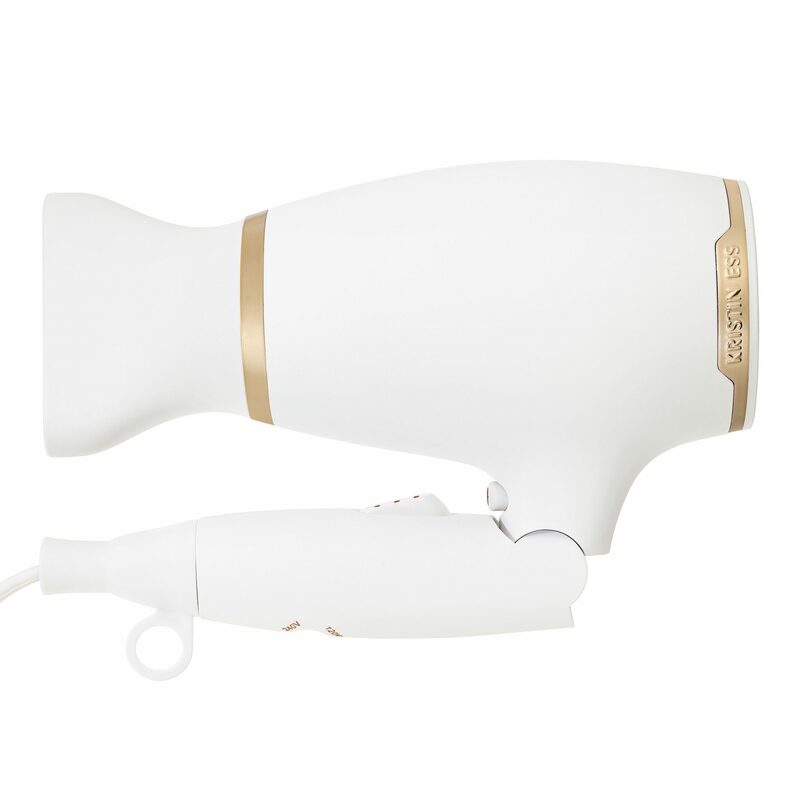 Her blowdryer, which comes with a diffuser attachment and customizable ionic drying options that help dry hair faster without causing more damage, is the most expensive tool in the line, priced at $100. Did you expect a hairstylist not to create a travel-friendly option? If anyone knows how useless hotel dryers are, it’s a globetrotter like Ess. “These days, everyone is traveling,” she says. “Plus, who doesn’t love mini things?” Not only does it fold to fit comfortably in a carry-on bag, but it also comes with a detachable styling concentrator so your hair can be as shiny and smooth on vacation as it is when you’re in the comfort of your own home. 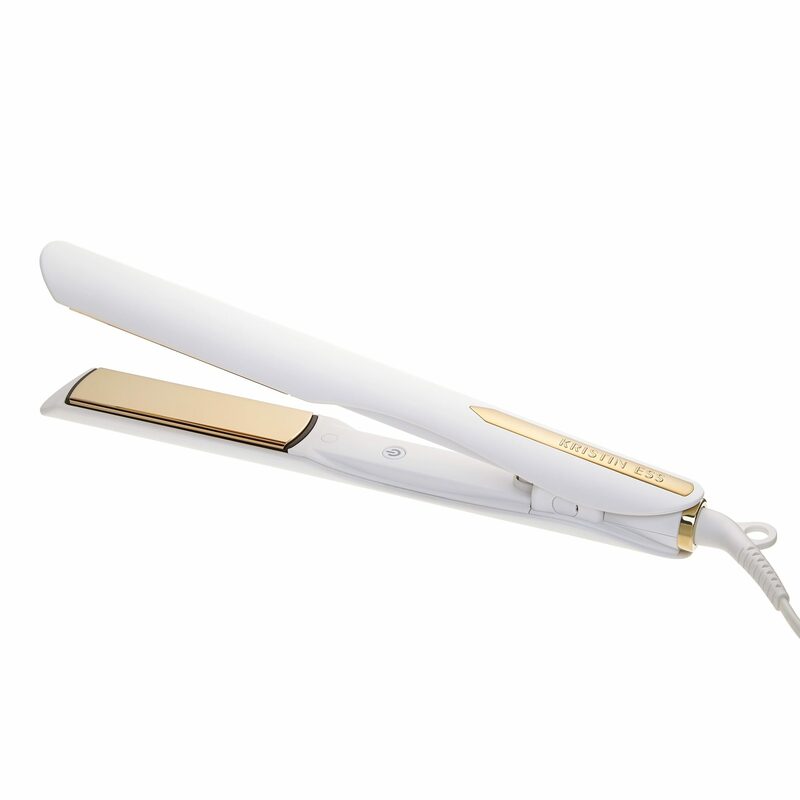 Naturally the flat iron comes in a mini size, too. Ess tells us the smaller version isn’t just for safe travels — it’s for people with shorter haircuts, too. “Someone with a bob would love this,” she explains. Although this one does come with a single heating setting because of its size, it does have an automatic turn-off abilities and heats up in 60 seconds. 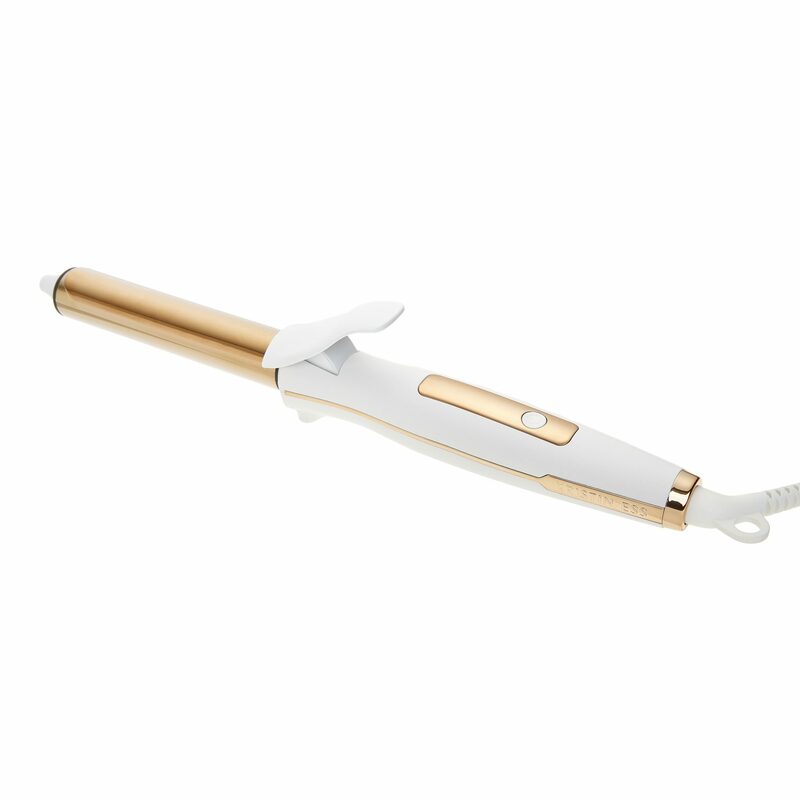 Not every curling iron is made equally, which is exactly why Ess thought it necessary to make one just for achieving soft waves. 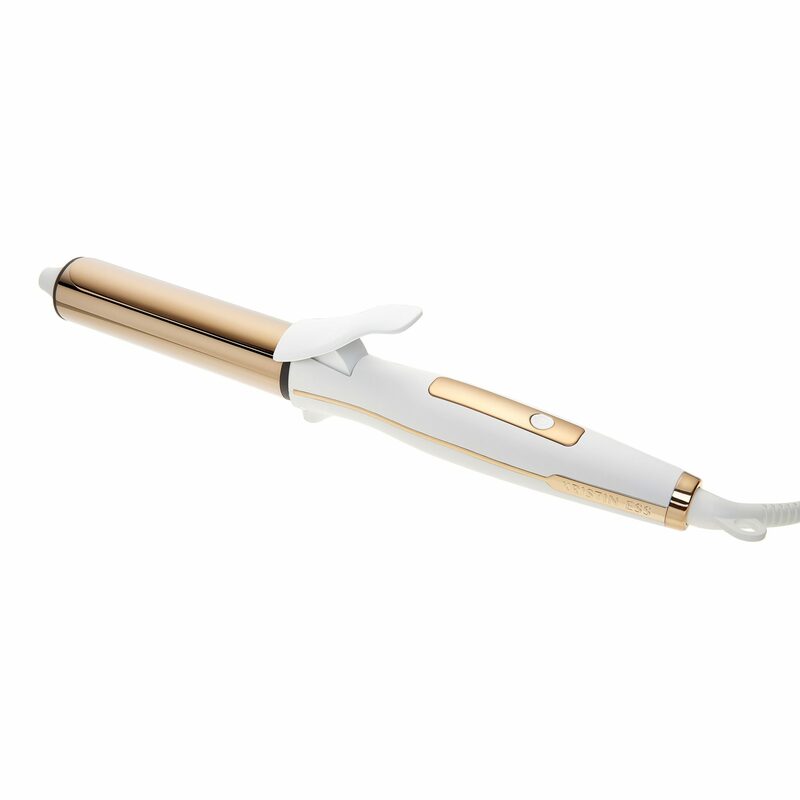 The 1 1/4″ barrel not only keeps your curls polished and loose, but uses ceramic heat sensors that evenly warm the hair so you can expect less damage and a better curl. Got a lob? 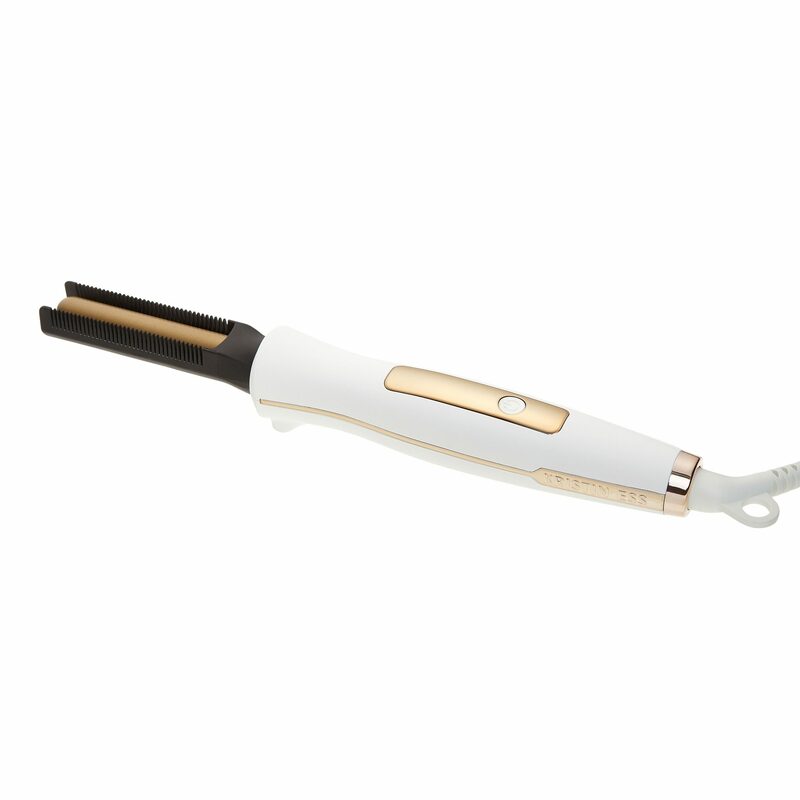 This Beach Waves 1″ iron is for you. Ess says this is her favorite for clients that have cuts above the shoulder, because it creates the kind of beachy waves Blake Lively just wakes up with. Why make a bent hair wand when you have two others already? Well, it’s all about ease, says Ess. Yes, it looks weird, but it certainly decreases the likelihood of getting a cramp in your elbow from trying to curl your hair. The biggest difference between this and others on the market is the fact that it pivots: Held straight or bent it to an angle, this 1″ iron offers two options for your convenience. Truth be told, we’ve only ever seen one hot tool like this before — and it was hidden inside a pro’s bag on set, where it was used to tame flyaways, broken roots, and frizzy texture in one straight shot. 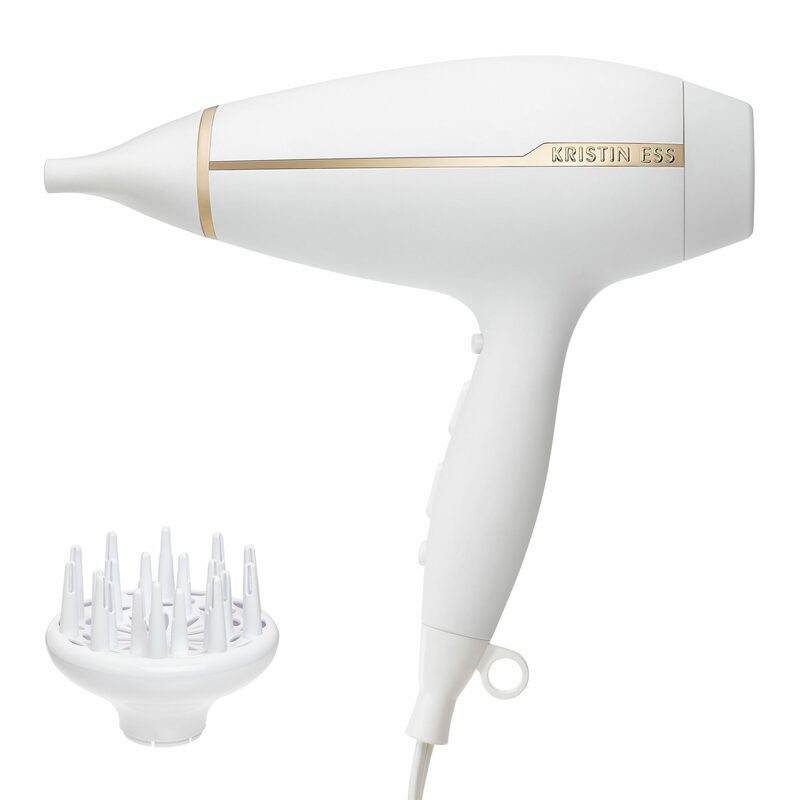 While the built-in comb brushes tiny hairs down, the heated barrel inside smooths. Ess recommends using it on your hairline, cowlicks, and at the roots when necessary. The $52 million (Lotto) Weekend: What’s happening in T.O.